the Art & Vin collection is now in its 27th edition. This year the series Art&Vin will be released for the 27th time. In order to give the series an exceptional design, we launched a photo competition in late summer. Everybody who is enthusiastic about photography could participate. 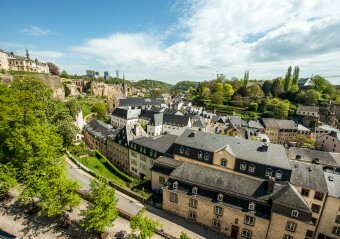 The theme was "Photography and Architecture": Luxembourg as a country of traditions, as "Melting Pot", pioneer in many fields. The rapid development also affects the appearance of this multifaceted country. Which buildings and streets will change in the near future? Which ones will remain, which ones will not be recognized anymore? The submitted photos reflect the typical architecture of Luxembourg - some well known places and buildings, but also undiscovered pearls. Among the many pictures we received, three photographers were particularly convincing: Gennaro Taddei, Christophe Mendes and Ramunas Astrauskas. I would like to know more about the development and the conception of this product line. 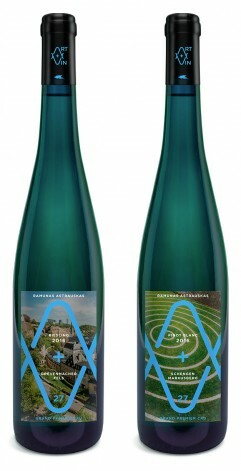 The deep, mineral soil on which the grapes used for Riesling Wormeldange Koeppchen is grown, lays the foundations for this concentrated, fruity wine. On one side, fruity notes of mandarin and grapefruit, contained in a compact structure, and on the other side, a mineral and distinguished acidity which gives all its interest and its length to the wine. This versatility gives this noble Riesling its specificity. The body of this Pinot Gris is strong, ripe and concentrated. The concentration of aromas is expressed on the nose by spicy aromas of dried fruits, prunes and marzipan. The great maturity of the grapes gives positive botrytis notes to this wine. Opulent, compact and generous, this Pinot Gris is very present on the palate. A sweet acidity enhances it and gives it interest and potential. Spicy, slightly smoky with notes of leather and orange, the Pinot Gris Foulschette is a typical representative of its grape variety. 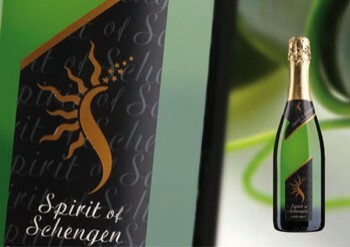 A lot of finesse and certain elegance in combination with power and concentration create excitement on the palate. A very creamy and almost warm and voluminous sensation is developed while drinking. The wine remains on the palate for a long time after consumption. The perfect combination of its lieu-dit, the grape variety and the art of winemaking. 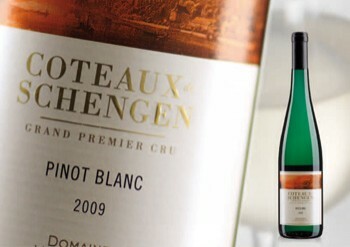 This Auxerrois has a very spicy nose with aromas of date, intense and aromatic. In the mouth juicy and dense with a rich structure. Ripe pears and notes of caramel dominate the taste. The interaction between residual sugar and acidity is perfectly balanced, the present alcohol rounds off the ensemble. Long, dense and concentrated, the Hôpertsbour is an excellent wine with a great finish. This classic Riesling reveals a beautiful minerality on the nose as well as rifle stone and ripe apricots. 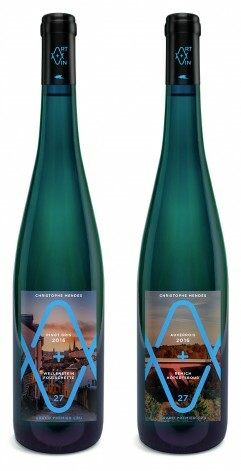 On the palate, there are peach aromas and the unique tartness of Riesling which is subtly integrated into the structure of this wine. The lieu-dit "Fels" is expressed by notes of lime and citrus fruits at maturity, which persist on the palate and give the wine its freshness and vivacity. 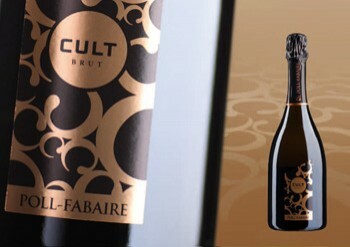 Mirabelle, gooseberry and orange peel are the predominant aromas in this rich, delicate wine. On the palate the yellow fruits appear again, with a lot of finesse and elegance. A certain minerality is also evident in the wine, which keeps the balance between volume, strength and liveliness. The long finish rounds off this very present Pinot Blanc and shows its great potential. Gennaro, 54, was born in Luxembourg and is of Italian descent. In his youth he was mainly interested in sport and various forms of art, including photography. For twelve years now, photography has been his greatest passion, which he has devoted himself to. This was mainly due to the Collectif Image de Villers-la-Montagne (France):"Here I acquired my technical knowledge and developed my philosophy of photography. That was of great importance to me,"explains Gennaro. The artist has already established a name for himself in the Greater Region with his unique black-and-white photographs: exhibitions at the H2O in Oberkorn, at the Millegalerie in Beckerich, a selection at the Belgian Art'lon and his appointment as photographer of the month on the website of the French Photographers' Association bear witness to Gennaro's experience and repertoire. As a physical equilibrium, he has been practicing yoga since the age of 17, moreover he is reading a lot and listening to music. 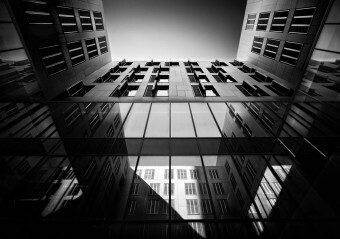 He also finds a balance in photography:"I prefer to capture abandoned places and landscapes, but also architecture. Therefore I was immediately interested in the topic of the 27th Edition Art&Vin. 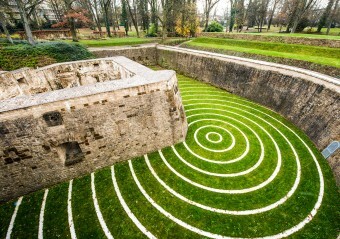 I am delighted that the architectural landscape in Luxembourg is constantly evolving." On the subject of this exhibition, Gennaro adds:"Wine is like a journey of the senses, a social and thus human journey. Good wine enhances the beauty of interpersonal relationships. 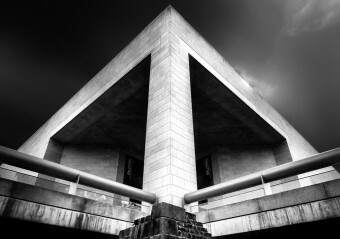 Architecture gives every room a certain beauty, just because of its shape. A beautiful house, a beautiful office warm our soul and open it to the beauty and sweetness of feelings." Christophe Mendes is 28 years old and comes from Luxembourg. Photography has been his great passion since the age of 17:"My primary concern was to preserve experiences and memories alive. My parents come from Portugal and I wanted to document our many journeys to the family in order to remind us of these special moments ",says Christophe about his beginnings. The autodidact taught himself the craft by eagerly studying professional journals and books. It was always important for Christophe to ensure a certain level of quality in his work. 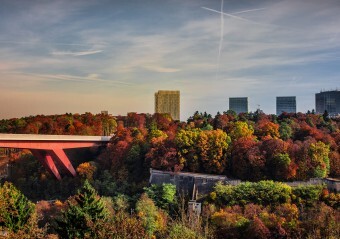 The very successful Facebook page "Luxembourg Photography", which he founded, testifies to his success. It serves as a kind of photo album for the public and lets the viewer experience the beautiful pictures - and also dream a little bit. The main reason why I share my photos is that hardly anyone abroad really knows Luxembourg. 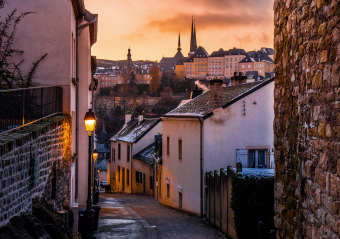 It's surprising, but you get the impression that Luxembourg is sometimes forgotten,"explains Christophe. "And when I meet people on my travels who know where Luxembourg is on the map, they immediately connect the world of finance with our country." Christophe wants to change this by presenting Luxembourg with its idyllic nature and cultural heritage. For him, this also includes architecture. He sees the connection between architecture and wine as anchored in this cultural heritage. Another intersection is the perspective and the own taste. Architecture and wine are very similar. Not every building has to please, not every wine has to taste good. However, if you change your point of view or try a wine with another meal, you can be pleasantly surprised. As far as his own photographs are concerned, Christophe is always looking for the "wow effect" - the snapshot in which everything is perfectly in harmony. Ramunas, 51, was born in Vilnius, Lithuania. After studying environmental sciences, he joined the Ministry of Foreign Affairs. His mission took him to Washington D. C., where he worked at the Lithuanian Embassy. Later he became Consul General for Lithuania in Chicago. He lived in the United States of America for 22 years. Seven years ago he moved with his family to the Greater Luxembourg region. Ramunas works today as a photographer and videographer. In his leisure time, depending on the season, he can be found kitesurfing, skiing or cycling. His interests lie in music and art. Ramunas also likes to travel to foreign countries and is inspired by the nature, architecture and food of each country. He became passionate about photography at the age of 10. His father was a photographer and so to speak, he had the camera in his cradle. Luxembourg has a unique architectural landscape for Ramunas:"The old historical buildings merge with modern architecture, which is very special, in a beautiful way," says the photographer on the subject of architecture. Wine has been cultivated on the Moselle for thousands of years, an ancient tradition that has been maintained for generations by the families. It's a real lifestyle! Villages and towns were built around the vineyards and the architecture adapts to the landscape, everything merges here on the Moselle. We must respect this tradition and preserve its beauty. 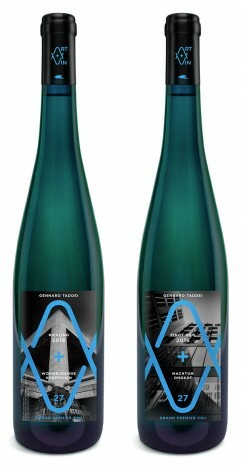 Here I clearly see the interaction between architecture and wine ".